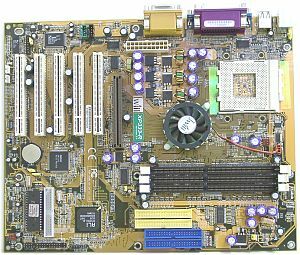 Iwill was first to release a mainboard on this chipset. 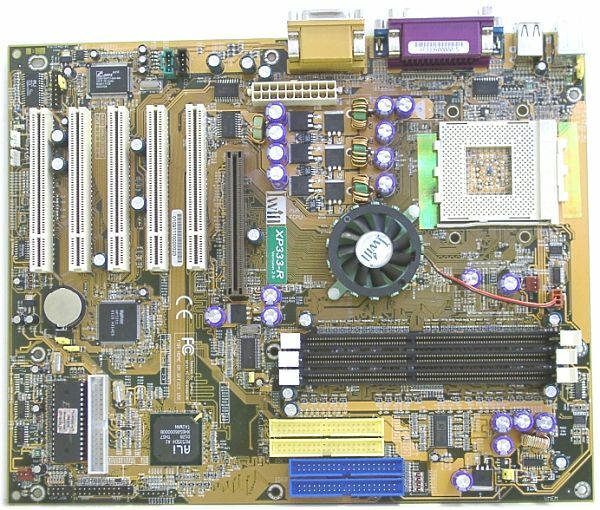 But the board is a bit disappointing - apart from lack of PC2700 memory support (the DDR333 works only with a 166 MHz FSB), the board failed to start from the first attempt. 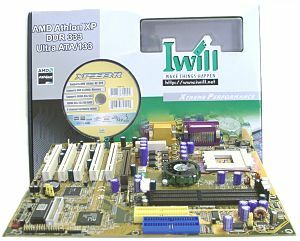 In all other respects the XP333-R is a typical product from Iwill. The board comes in a plastic bag packed in a usual cardboard box with two cut-outs on the front side. There are also a user's manual, 2 ATA 66/100/133 and 1 FDD cables, a bracket for a rear computer panel with connectors for rear speakers and a central channel/subwoofer, and a CD. The latter contains drivers, manuals for different boards of this company in PDF, several hardware monitoring programs, Adobe Acrobat Reader and McAfee VirusScan 5.21. The CD is bootable - it can help you to make diskettes with drivers which can be required yet before installation of an operating system. The board is of high quality, but we had some problems. Besides, the layout is not the best - positions of an FDD connector, of a power supply one and audio-ins can be an obstacle for an assembler. Besides, there is no an AGP clip for fixing a video card. 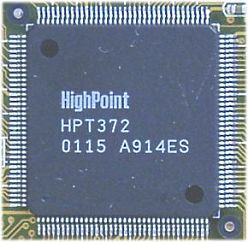 On the other hand, the PCB incorporates a HighPoint chip which provides operation of the IDE RAID with the speediest interface - ATA133. Besides, it is possible to connect a 6-channel acoustic system direct to the board; this is supported by the C-Media chip. For connection there is a SuperAudio bracket with two outputs: for rear channels and a central one/subwoofer. The socket has two nacreous stripes of plastic on its sides which protect textolite from scratches and splitting off which can take place during installation of a cooler on the CPU. The board uses a three-phase impulse voltage stabilizer which together with high-capacity LowESR capacitors provides high stability even in modes different from the rated ones. The board has several standard switches. The BIOS is based on the AWARD Modular BIOS v.6.00PG and offers a great deal of settings for memory timings, for AGP and PCI buses etc. You can change an FSB frequency in 1 MHz steps, and voltage of the processor and of the memory. The boards from Iwill can be considered reference ones for ALi chipsets because ALi itself doesn't introduce its own reference samples.